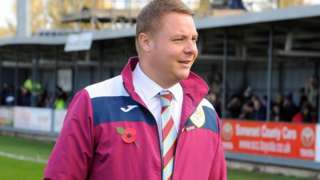 National League South side Truro City appoint Taunton Town boss Leigh Robinson as their new manager. 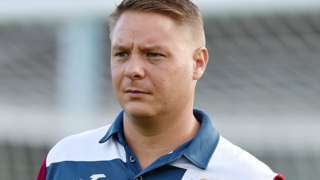 Leigh Robinson is sacked as manager by National League South side Truro City. It will be chilly on Tuesday night, with temperatures falling away under mostly clear skies. Some shallow mist or fog patches may develop locally. Minimum temperature: 0 to 3C (32 to 37F). After early mist or fog patches lift on Wednesday morning, it will remain dry with light winds, sunny periods and some patchy cloud during the day. The Red Arrows will return to Plymouth this year for Armed Forces Day for the first time since 2012. The display on 29 June will also include flypasts from a Royal Navy Merlin helicopter and an RAF Spitfire. New homes, cycle routes and a major project aiming to provide regeneration in south east Cornwall will all be debated by Cornwall Council’s cabinet on Wednesday. The cabinet will be asked to approve that £4m be provided from the economic development fund for various projects including Liskeard Cattle Market and a new cycle trail network. And it will be recommending to full council that an additional £2.4m be added to the council’s capital programme for works on the cycle trail plans. The cabinet will also receive an update on the Housing Development Programme – the council’s ambitious scheme to provide 1,000 new homes by 2022. Pilot schemes have been completed at Tolvaddon and Bodmin and the council is now starting work on further schemes which will provide new homes for local people. Councillors will also be asked to approve additional projects for the council’s capital programme worth £26m. This money will be used for a number of schemes including a backlog of school maintenance which will target those schools which have health and safety issues. Money is also being allocated to building a new special needs school in Cornwall. 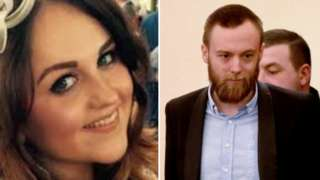 They would have "flooded the UK drugs market" if they had been successful, a judge said. The exceptionally low tides in Cornwall have revealed a new fascinating relic from a 17th Century shipwreck. A man threatened a pet dog with an axe in a row between two men, say police. Police said an argument erupted between the two men at Dean Cross playing fields in Plymouth between 19:00 and 19:30 on Sunday 10 March. The suspect, described as a stocky white man in his 30s, about 6ft tall, was walking a brown pit bull-type dog when he threatened the other man's German shepherd dog. The attacker was believed to be wearing a blue jacket, carrying a large rucksack on his back and was wearing a head torch. Campaigners have told an inquiry that green land south of Newton Abbot should be off-limits to housing. PCL Planning wants to build 1,200 homes, a shopping centre, primary school, employment land and a boutique hotel on the edge of the town. Kate Van Dike of Newton Says No, said Teignbridge District Council did not have "carte blanche to destroy every redeeming feature of every town and village". PCL Planning declined to comment, but said in its application that the council was "unreasonable" and the the appeal, which will be considered by an inspector, should not be necessary. 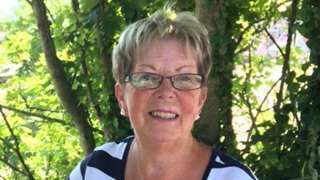 Lesley Davies suffered fatal head injuries in the attack in her home town of Par. Planners have refused permission for new homes near a former lead mine in Plymouth because of the risk to health from contaminated land. The city council’s public health protection service objected to the plan for 38 homes off Tamerton Foliot Road. A report said the levels of lead were "still too high to allow development of this nature on this site given the current scheme". It said the highest recorded level of lead on the site showed "significant possibility of significant harm" to future occupants. Some samples from the site were more than four times the threshold for lead. The report concluded that the site was unsafe to develop without measures to reduce the effect of the metal. Opening statements have been made in an inquiry into a controversial plan for more than 1,000 new houses and a hotel on the edge of Newton Abbot. The proposals also include a school, two care homes and "employment space". A planning inspector is hearing evidence from the developer, Teignbridge Council and local residents about the proposed scheme at Wolborough. The developer has argued the council has been "unreasonable" in its dealings with the application, while the council said it had concerns about the development’s impact on transport and greater horseshoe bats. The hearing is expected to last five days - three days this week and two more in June. 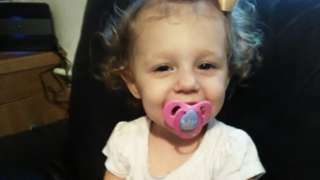 Abigail Leatherland denies murdering her 22-month-old daughter in October 2017. It would take 13 years to clear the potholes in the South West, according to a new survey. Nearly 200,000 potholes were filled in Devon and Cornwall last year. The report from the Asphalt Industry Alliance (AIA) also said the average time before a road is resurfaced in England is 79 years. A beachfront pub in Cornwall has complained to the local council about the amount of sand that is being blown into its seating area. The Mermaid Inn in Newquay said it had cleared 70 tonnes of sand in the last week, and had to hire diggers to tackle the problem. 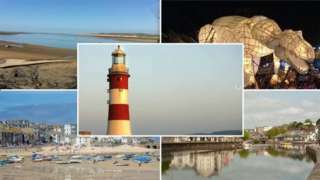 Manager Tom Cullen said Cornwall Council used to move the sand across the beach twice a year, but had not carried out the process for two years. "Because they've stopped, the sand blows over our walls. We've even had a wall knocked down by the weight of the sand against it." The sand has previously covered every table in the beer garden. Cornwall Council said the bay at Porth beach acted as a "wind tunnel", and sand "naturally builds up at the top of the beach and road" by the Mermaid pub. "In partnership with the [beach] Management Group, we could constantly clear sand from the site. However, we must consider sustainability, cost, and the impact on those using the beach. "We also consider the challenge of climate change that will likely to lead to more frequent and intense storms." M5 Devon northbound severe disruption, from J28 for A373 Station Road Cullompton to J27 for A361. M5 Devon - One lane closed on M5 northbound from J28, A373 (Cullompton) to J27, A361 (Tiverton), because of vehicle tyre change. Traffic is coping well. Exeter City Council is to hand over the management of large areas of parkland to the Devon Wildlife Trust. Initially the deal will last for seven years and cost the council several hundred thousand pounds. 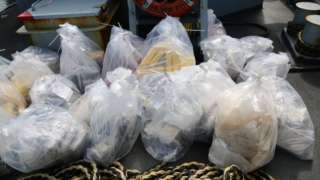 But it said the deal would save money over time and the wildlife trust said there would also be benefits for wildlife. A38 Cornwall eastbound severe disruption, around B3252. A38 Cornwall - A38 in Trethawle blocked eastbound around the B3252 junction, because of a broken down vehicle. Traffic is coping well.